People need screen recorders which make it easy to capture and share footage from their monitors that range from the most mundane activities to more sophisticated ones. 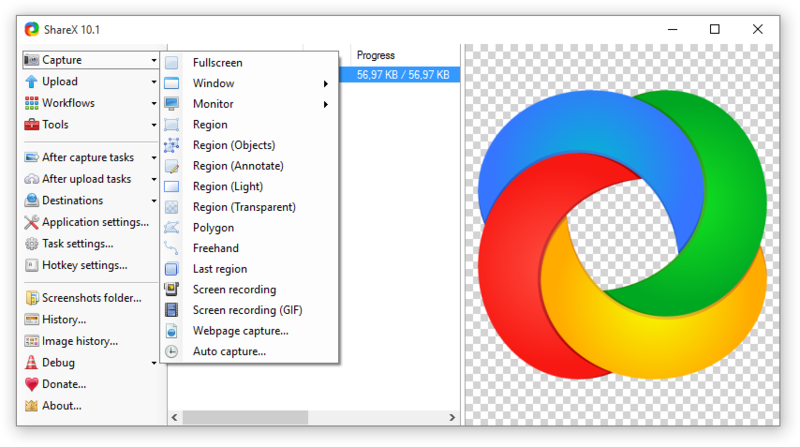 This article delves into the best software for screen recording in the Windows platform that provides value when creating videos and makes it not only interesting but also easy. Programs range from simple screen recorders which only have a recording option to more advanced that have editing tools, picture in picture capability and live streaming. There are others that add a watermark to the outputs and those without and the time limits for recording varies from one to another. However, all of them share a common attribute and that is they give you the ability to make a screencast video. These videos are important in software and process demonstration in tutorials and reviews, game playing pointers, recording problems to share with tech support and much more. As such, it is important to know the available and outstanding screen recorders for the Windows platform. TalkHelper Screen Recorder is the best software for Windows 10 users at the moment due to its intuitive user interface that does not require much learning when using it. In addition to screen recording, the software also has advanced editing options that enable you to customize your video through editing out parts and adding annotations as well. Furthermore, process demonstration is simple because the mouse can be highlighted and clicks recorded when making a video. Webcam recording, as well as audio from both the microphone and computer speakers, makes it useful for producing tutorials. There are no length restrictions to the recordings which makes it ideal for long screencasts. Gameplay screen recording is however not ideal because it lags and has issues with full-screen games. One of the best free screen recorders available is OBS Studio which gives high definition videos as well as audio when recorded from either the speakers or the microphone. Famed for its ability to record directly from the graphics card, the software functions exceptionally when used to screen record games running in full-screen mode. This makes it ideal for demonstrating how to pass game levels that may be difficult for the majority of gamers as well as cheats and tricks for playing like a pro. Files are saved in common file types thus there is no need for conversion once one is done recording. FlashBack Express has proved to be one of the best programs for screen recording due to the video editing tool which has advanced functions for producing high definition videos. Partial and full-screen recording is also supported and the former option allows you to hide desktop icons as well as change or replace the wallpaper in the background. Keystrokes are shown as well when typing and it has a special feature that obscures passwords to keep your data safe. Its simple user interface makes it easy to use in addition to having a dedicated mode for gaming that allows you to record the games you are playing without lagging. An instant face and voice synthesis feature makes Ezvid an exceptional free software for screen recording on Windows. This allows you to narrate as you record because it can capture both the audio from the microphone and the webcam video as well making it ideal for instructional tutorials and educational material. High-quality recordings are made using the program easily and one can record a particular window or the whole screen. The computer’s processing power is used in increasing the screen recording as well as video editing making it quite fast. The files can then be uploaded to YouTube or other media sites and saved on the hard disk in common file types. ShareX is a free software that has various capture methods and a very simple and intuitive interface that makes it easy to navigate through it. Furthermore, there are keyboard shortcuts which one can use because they make screencasting easier. Different capture methods include full screen, custom region, scrolling capture, active window and more. These allow you to record the specific items from any portion of the screen. Sharing is the key feature for the program since it supports multiple online destinations which include Google Drive and Dropbox. However, there are watermarks in the resulting videos but one has an option of making customizations on the video using the different effects available. The only setback is that it does not have webcam recording capability and is unsuitable for screen recording games. Screen recorders with a simple user interface make it to the top of the list and as such, Screencast-O-Matic is no exception. It has quite a simple interface that makes using it easy. With different recording options, one can opt to record the whole monitor, a selected window on the screen as well as capture the mouse when scrolling and record mouse clicks. Picture in picture recording is available since you can simultaneously record the webcam and the screen which is quite useful in when developing tutorials or videos for demonstrating certain aspects of a software or an app. It also has a wide array of editing tools and an additional music library that gives you a list of music you can use to add to the video for a perfect outcome and a professional production. You can also schedule your recording for when you are unavailable and this feature works exceptionally well. For high definition screen video recording, Bandicam screen recorder is simply the best. It provides you with the option of selecting your required resolution in the settings which makes it suitable for making professional videos. Webcam overlay gives you the option of picture in picture recording which is very useful for the occasional educational videos and tutorials. Furthermore, video and audio from the microphone are synchronized perfectly thus allowing you to have professional videos made from the comfort of your house. Streaming games is also easy with the software since it has high-speed recording capability that does not lag when undertaking such a task. You can also record partial sections of the screen or the whole screen depending on what you want. TinyTake is among the best software for screen recording due to its exceptional video editing and annotation tool which allows you to create almost professional files using it. It has an integrated feature with the options of adding graphics to aid in video annotation after screencasting. Webcam recording gives you an edge when creating content for students which require explanations. Time limits are restricted to the free and trial versions with the premium version giving you about 120 minutes of screen recording. Once you are done, uploading the files to YouTube is easy since there is a direct upload to YouTube link in the software and you can also share to other sites or save on the local disk as well. Designed for screen recording games, this software records using very high frame rates, therefore, giving you high definition videos. Whether the game is running in full-screen mode or on a window, it does not lag and hence can be used to give pointers for passing difficult levels or explaining concepts in a video game. It also has additional post editing functions such as trimming the video, editing out certain parts, adding graphics to the video and much more. These allow you to perfect the video post-production before sharing it with your contacts either online or offline. Webcam recording is also supported as well as audio for explaining concepts when developing an instructional video. Among the free screen recorders, this comes as one of the best on Windows. With recording options varying from full screen, a selected region or a window open on the screen, it allows you to customize your work while getting high definition screen recordings. There are no limitations to the length of the recording which makes it useful for long sessions. Furthermore, there are video editing options which provide you with the option of removing background noise, adding video and audio effects as well as deleting fragments of the video. You can upload the videos to YouTube easily to share them online or save to the local disk for future use. Debut Video Capture is the best screen recording software which is equipped with webcam recording capability and audio synthesis that makes picture in picture recording simple, easy and professional. Resolution selection is available for the video output which provides you with different options depending on the screen targets. Furthermore, editing tools are available and you can easily annotate your video for other viewers when editing. The only setback is a lack of direct export options. This is a free online program for screen recording on Windows and it has no length limitation on video recordings. As such, you save space and computing power by not having to install it to use it. Various options are present for recording the screen video and they include full screen, partial region on the screen as well as an open window on the screen. Webcam and audio recording capability allows you to create instructional videos for tutorials and educational purposes while narrating. Video editing in real time is also supported and this saves on time. Whether you are running on Windows 7 or 10, the task of installing and using this program remains easy due to its intuitive user interface. A feature that makes it outstanding is the zoom tool which works well when recording and is useful in providing a detailed picture of a specific screen region when recording. Video editing tools are also available and these allow you to trim the video, adjust the volumes, edit out parts and more. Webcam and audio recording also makes it easy for picture in picture screen recording. You can also choose the resolution of your recording as well as add customized watermarks to the recorded video. Other than being the best screen recording software on the Windows platform, Camtasia Studio also offers quite exceptional editing tools which allow you to produce a professional video. The editing options include tools for adding images, videos and audios to the screen recording as well as presentations. Instant preview playback allows you to preview and work on the footage while in editing mode, a factor that gives it the professional outlook. This makes it ideal for tutorials and educational videos that require adding extra material. Keystrokes are recorded as well and passwords obscured for privacy. It is a great tool for screen recording and can also record webcam footage for picture in picture recording. There are both free and paid software that can be used to record your screen in a professional manner. The best software, however, is not always the most expensive since there are free screen recorders that work better compared to those that require one to pay a premium. The main features that can be considered in selecting the best recorder include the ability to record the webcam which is a useful feature for the production of learning materials such as tutorials and explaining concepts on the screen. Another feature is the length of recordings and this affects directly people that want to record lengthy videos such as games and in programming tutorials which can be quite long. Therefore, the longer the time or an unlimited recording time comes out on top. The quality of the recording also matters a lot and there are recorders which provide you with an option of selecting your desired resolution and this helps in the creation of HD screeencasts. Intuitive user interface that enables you to easily record, save and upload your screen recordings is also key in selecting the best software.